Well I had planned to write something else for my first proper blog but then I heard about the sad death of Caroline John and I wanted to write a few brief words. I never met Caroline John and, sadly, now I never will. Liz Shaw, on the other hand, I first encountered in 1988 when I watched 'Spearhead from Space' on video. At the time Liz seemed to be almost forgotten, a footnote in the annals of Doctor Who history. And yet, thanks to the magic of video, Liz lived again, no longer relegated to being a mere paragraph in the Doctor Who Programme Guide. Here she was in all her 'take-no-nonsense' glory: standing up to the Brigadier, making fun of Generals and saving the Doctor's life when his latest gadget blows a fuse. And now, thanks this time to the magic of DVD, I can watch 'Spearhead...' again and this time bring not just Liz Shaw but also Caroline John back to life. Many of the tributes that I read to Caroline on the message boards went along the lines of "I was just watching Inferno" or "I've just been watching Spearhead from Space" and that sort of summed things up for me really. 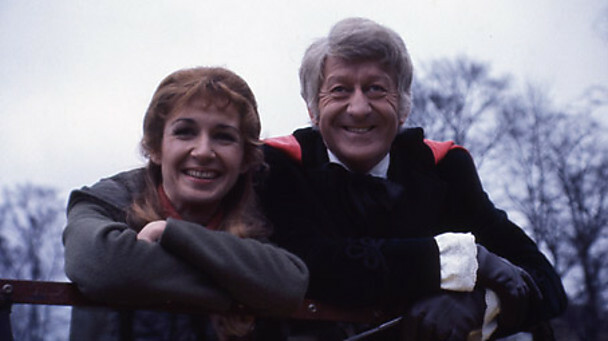 Although Caroline's time in Doctor Who was relatively brief compared to some, the fans have never really forgotten her or what she contributed. And, as long as her work continues to exist then she will never be forgotten.